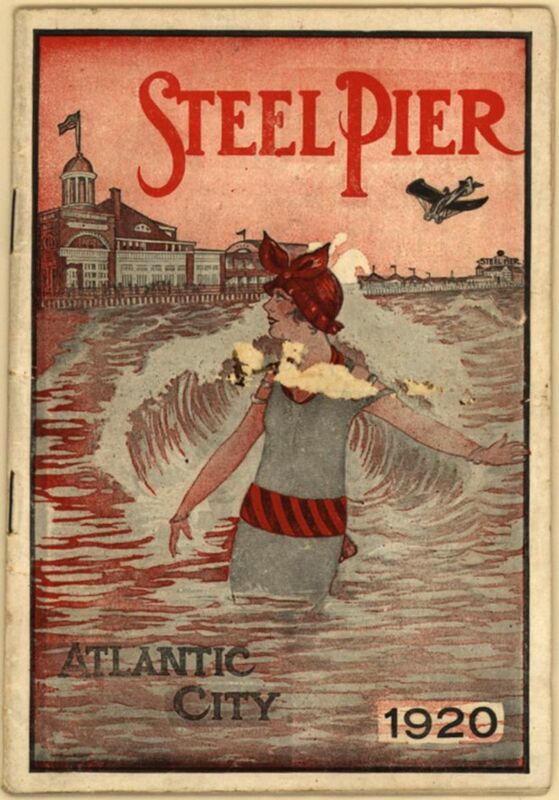 Imagine walking along the boardwalk of Atlantic city on the eve of the New Year . In a few hours it will be 1920. The US Government is about to launch the Noble Experiment ... the Eighteenth amendment of the United States Constitution. An act that would effectively ban the manufacture, sale or distribution of alcohol all across the nation. 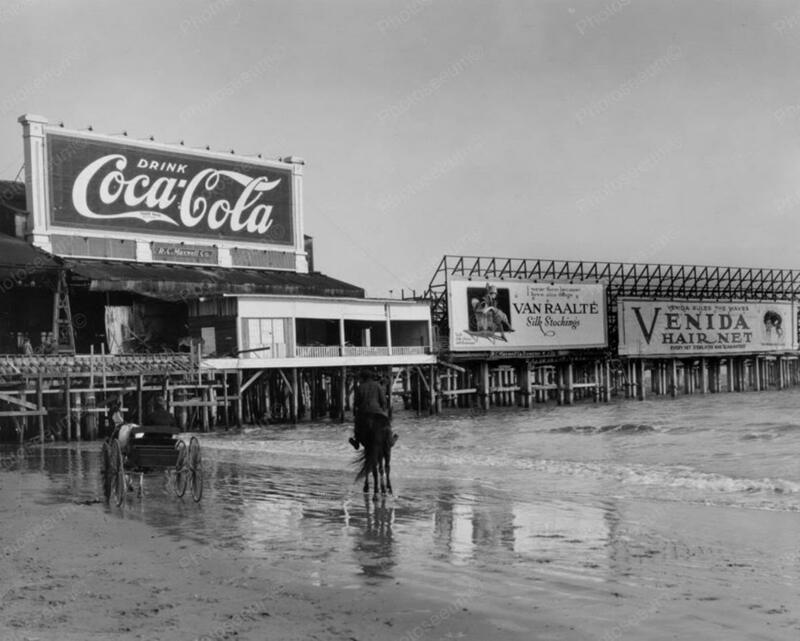 The booze is still flowing, the fancy lights are on, music is loud and raucous, coming from the many bars and clubs.A few drunken men and women spill out into the boardwalk, the large wooden structure built to prevent the sand from the beach coming into the hotel lobbies. If you listen above the hubbub of activity, you could just hear the thrash of the waves. But the bright lights from the display on the hotel and shop fronts only seem to emphasise the darkness that emanates from the seashore. The party goes on late into the night. Come morning, they all know that they could go to jail for drinking. 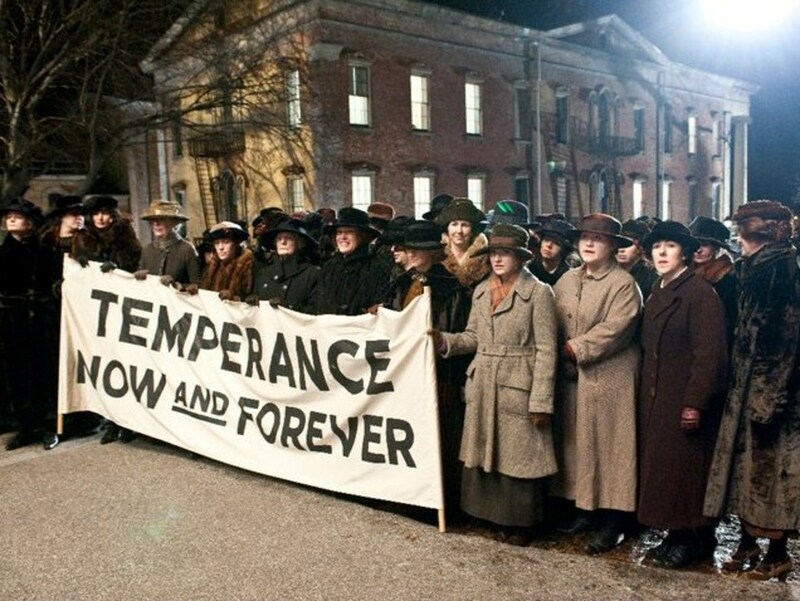 The temperance leagues have scored a victory, banning the evil drink and 'rescuing' countless families from the agonies of alcohol. Despite the ‘Volstead Act’, there were already powers ready to not only ignore the law but to downright defy it and make a fortune from it. The criminal world has found a new messiah. Alcohol. 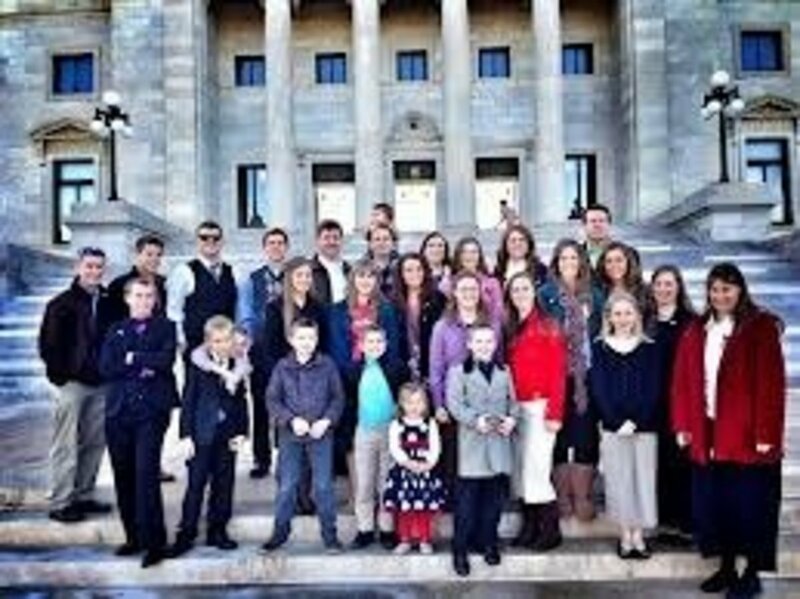 They could exponentially increase their income by violating the prohibition comprehensively, importing, diluting, and supplying alcohol to thousands of ‘speakeasy’ clubs across the land. 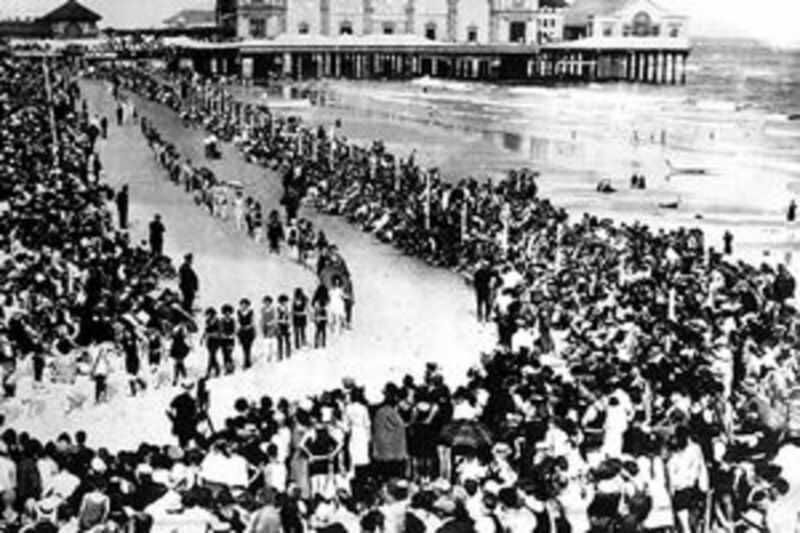 And the beachfront that defied it comprehensively, not by the criminal underworld but by the very powers that ran the local government was Atlantic City. This was where dreams were made, sticking two fingers up to the law. The booze flowed, the gambling dens clinked continuously and the show girls sashayed.And everybody from New York to Chicago wanted a cut of the action. They arrived, knowing very well the countless clubs and speakeasy's offered more than just drink, they offered a chance to build a criminal empire, to become rich and powerful. 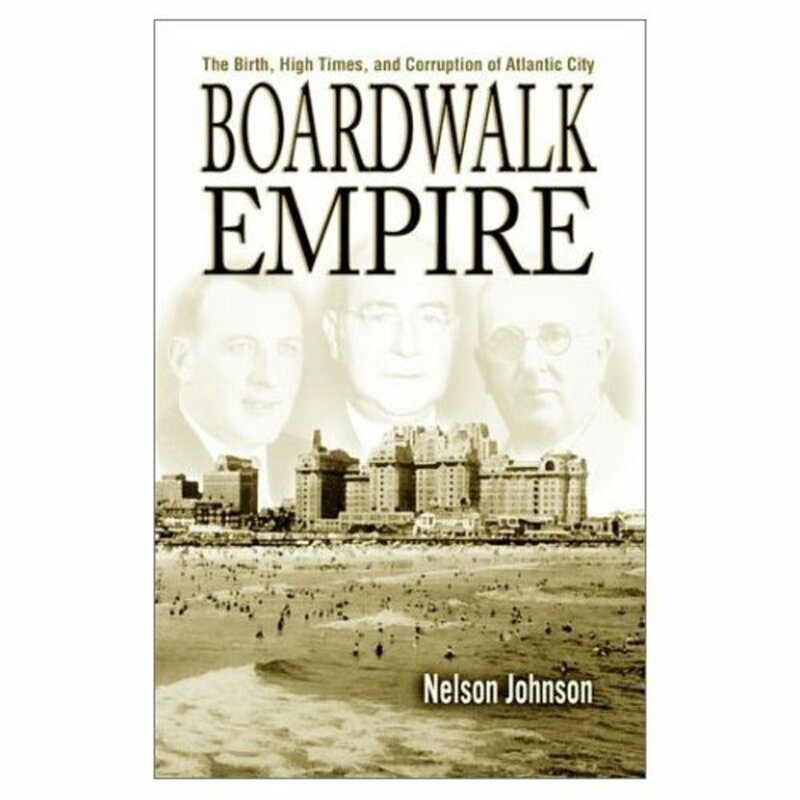 Towering over them all was the criminal mastermind of Enoch ‘Nucky’ Johnson, the treasurer of Atlantic city, master manipulator and racketeer, friend to the Republican party machine that ran the Boardwalk Empire. 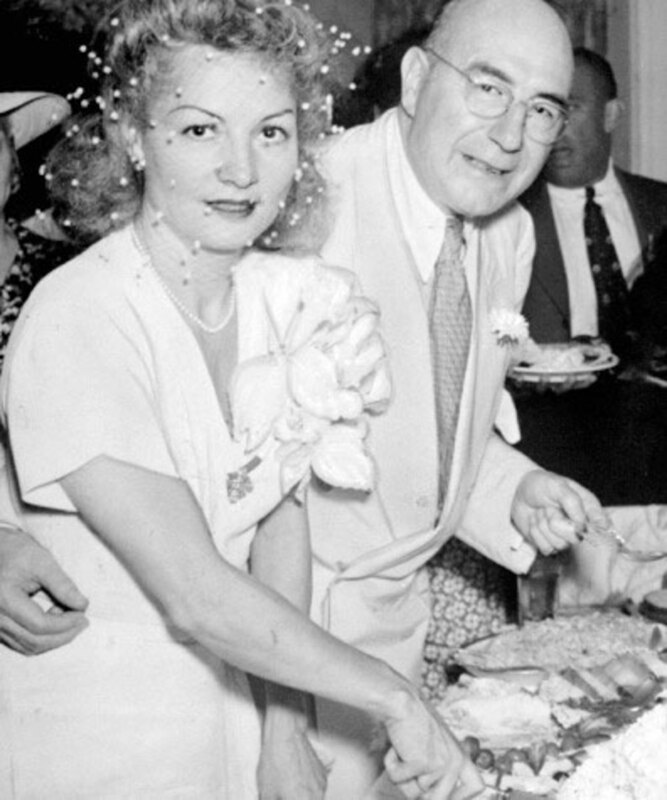 He made Atlantic city a haven of sins- offering refuge from the prohibition – bootlegging, prostituting and gambling his way to a fortune. The story of the real life Enoch ‘Nucky’ Johnson is a powerful tale of the rise of crime. 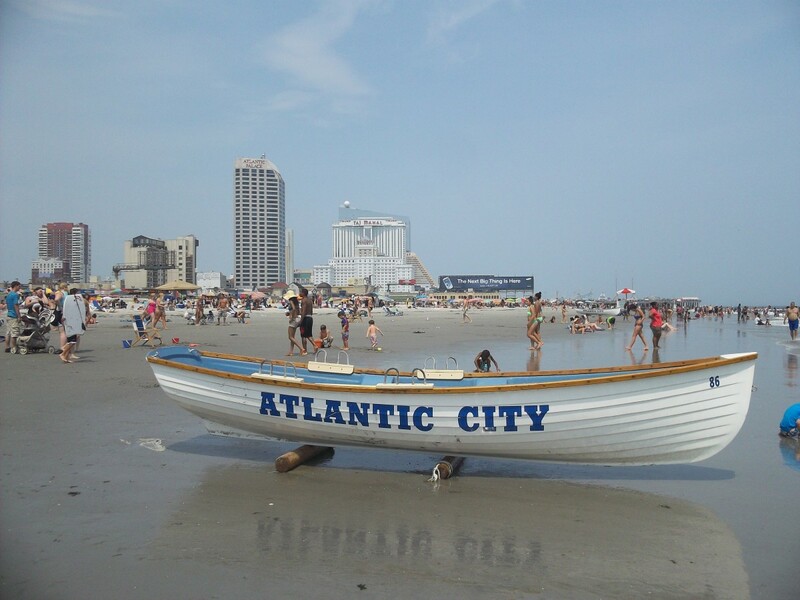 He effectively controlled all that happened in Atlantic City during the prohibition era, starting from 1919 and making it the ‘worlds playground’. 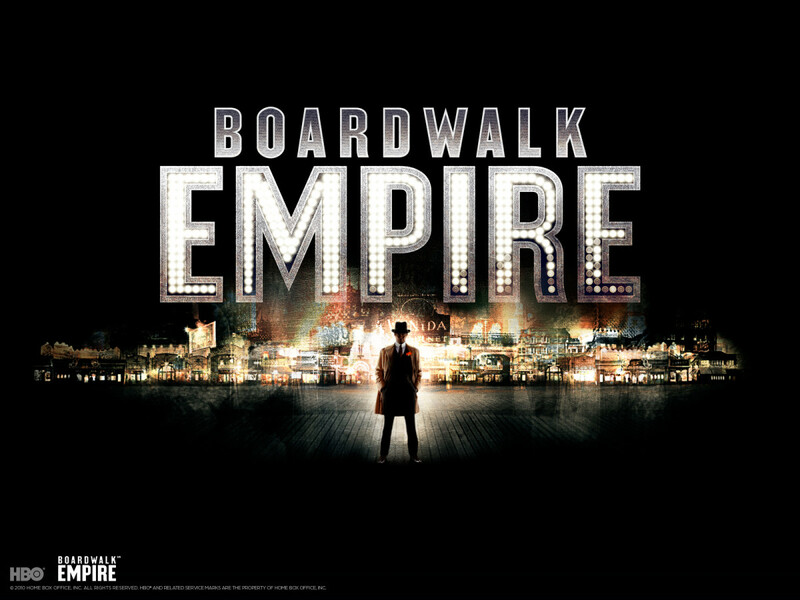 Boardwalk Empire, the new HBO series that has just completed its first season. 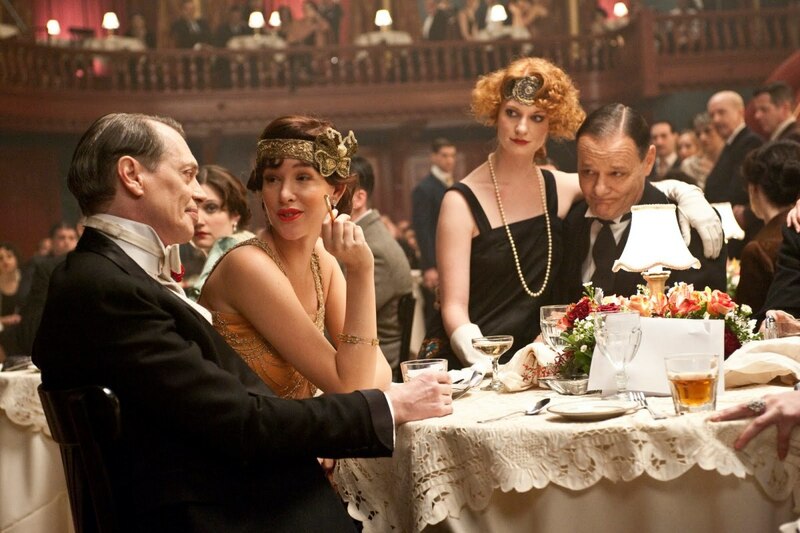 Tells the story of Enoch ‘Nucky’ Thompson ( Johnson, in real life) . 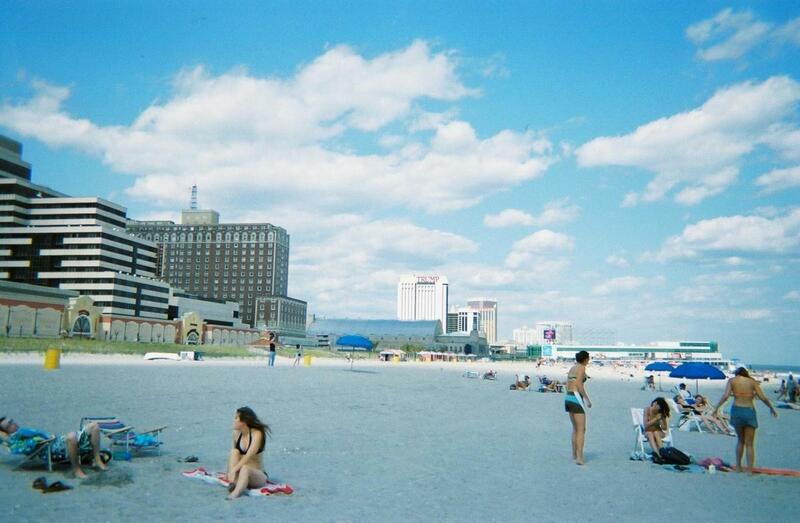 Through his eyes, we see the rise and rise of Atlantic City, the power that corrupts and the fragility of criminal life. Ably assisted by his brother who in the series is the sheriff and having most of the politicians in his elegantly tailored coat pocket, Nucky enjoys the trappings of power while secretly fretting the dangers that come with it. Brilliantly portrayed by Steve Buscemi ( Reservoir Dogs, Armageddon, Con Air, Trees lounge) Thompson is a criminal kingpin in the tradition of Tony Soprano. 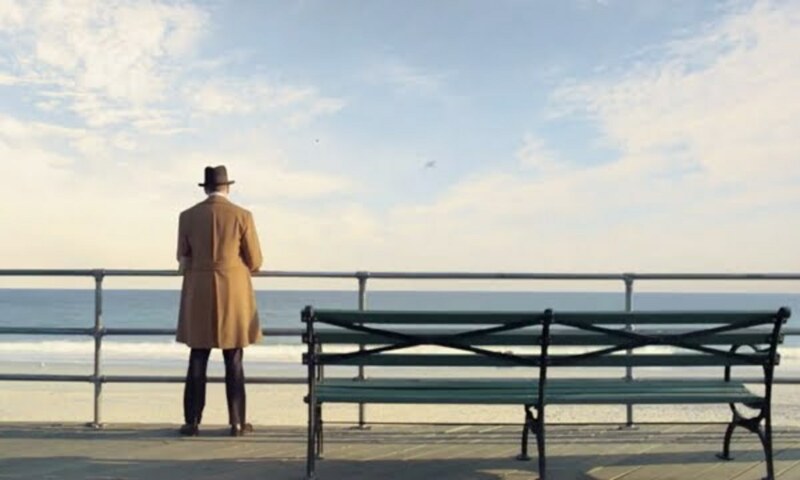 Created by Terence Winter, produced by Mark Wahlberg and under the expert eye of Martin Scorcese ( who directed the pilot- the most expensive pilot in television history) Boardwalk Empire is a stunning TV series that is another feather in the already crowded cap of HBO. 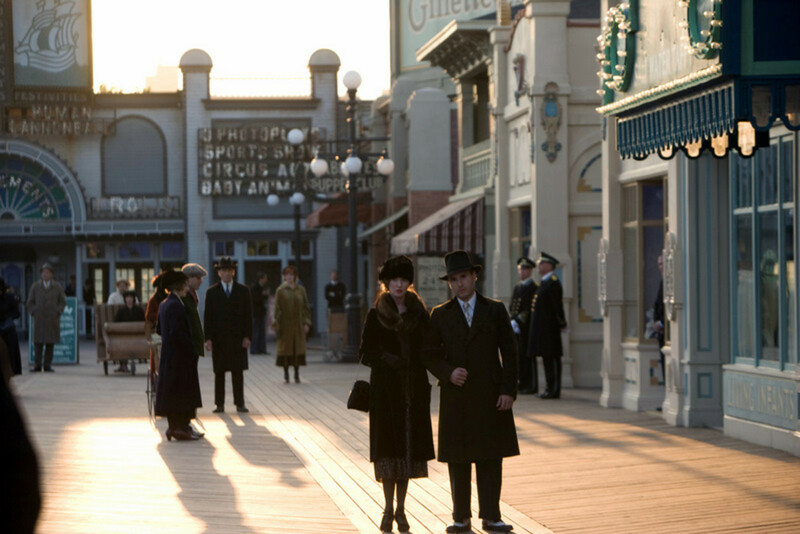 Received with widespread critical acclaim, garnering several awards already, Boardwalk Empire is a treat to the eyes and is also a historical portrait of the roaring twenties recreated with such authenticity that its colours and lights sear the retina. 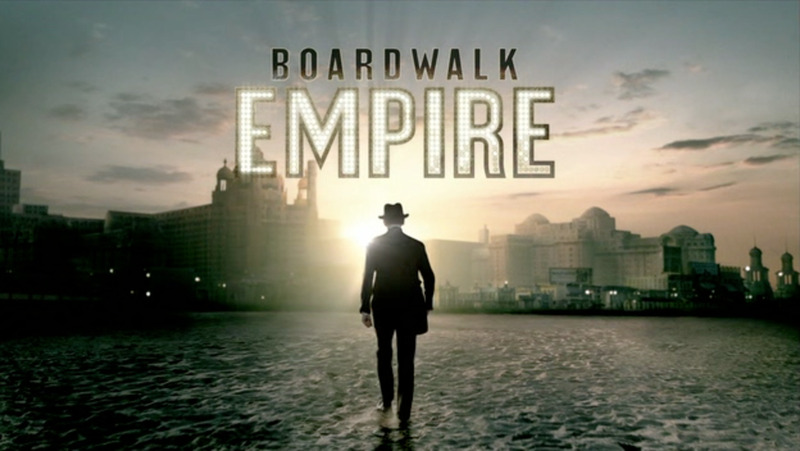 Although based on Nelson Johnson’s book ‘Boardwalk Empire: The Birth, High Times, and Corruption of Atlantic City’ , The screenplay successfully marries the high life of Nucky Thompson with the key historical figures of that time from show girls to showmen, criminals such as Lucky Luciano and the rising hoodlum Al Capone as well as several historical figures and of course the wrath of the Federal government. 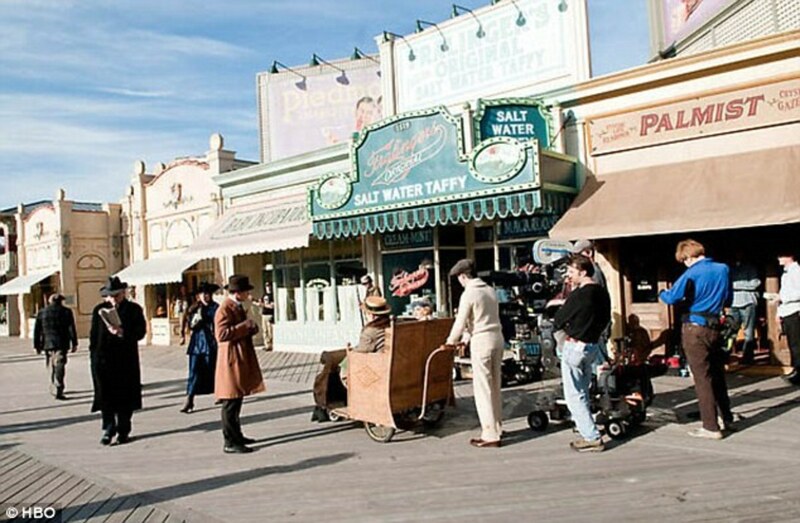 Filmed in a lavishly recreated set of the famous boardwalk in Greenpoint, Brooklyn, The cast and crew of dedicated technicians have paid utmost attention to detail. Every shopfront, every fabric and clothing, the music of the era, the accessories and the trinkets have all been lovingly recreated to create a sense of authenticity. There were even posters designed in the same style of that era to advertise the show. The details show on the HD screen, they gleam and glisten tantalisingly. The first episode alone allegedly cost in the region of 18 million dollars, making it one of the most expensive 'pilot's ever. 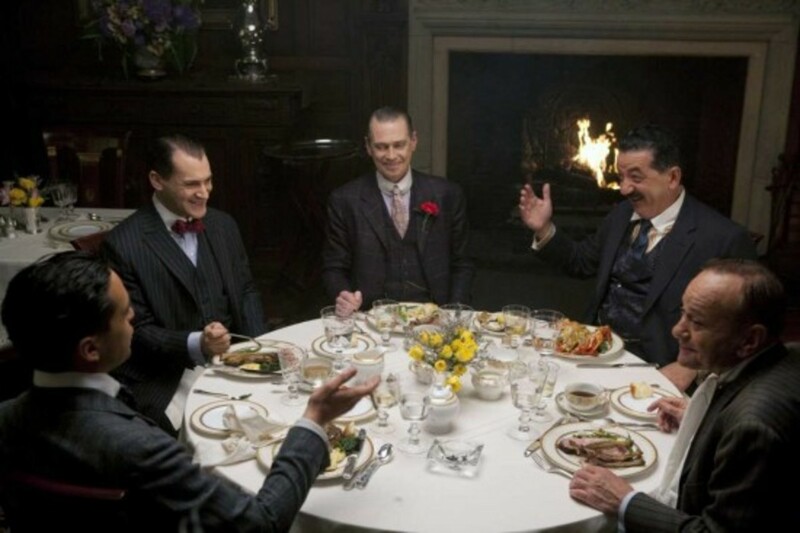 Scorsese has established the ‘look’ of the show, taking his cue from Goodfellas and Casino. The other Directors have followed his look to create a seamless series of absolute TV gold. It has a panoramic vision and a look that is more big screen than television. Because of this there is sweeping cinematic quality to the script, the acting and directing. The giddy heights of 20s sweep us away as we watch the episodes. The story is gripping and interweaves several real life characters into the life of Nucky Thompson and like most great stories that combine fact with fiction, there is edgy sense of recreating history and watching it as it may have been. Some of the sets ( like the Boardwalk itself and also the amazing interiors for 'Babette's night club' are simply breathtaking and is a testament of the technical crew that provides fantastic support to mount the story. The Music of the era streams through the scenes creating a great ambiance as do the show girls and showmen that intercut the drama. 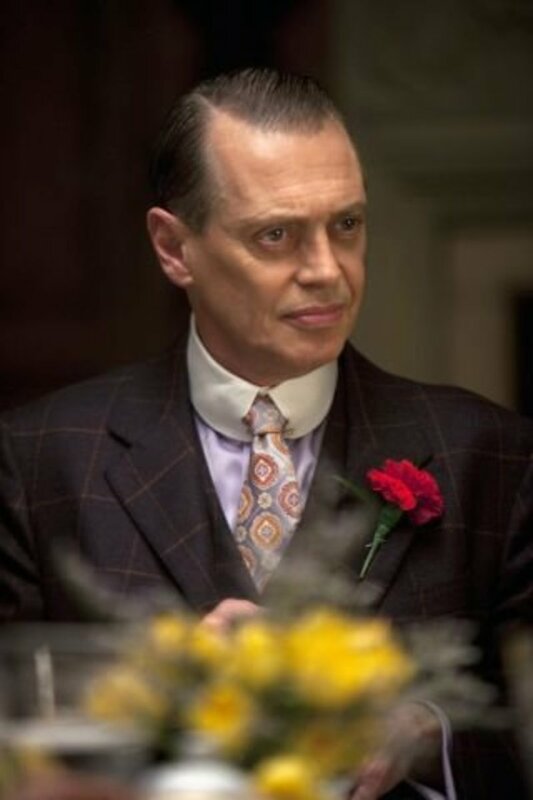 There is Sterling work from Steve Buscemi, as Enoch 'Nucky' Thompson, he dominates every frame he is in and he establishes the lead character with great command. He displays just the right mix of empathy, aspirations, guilt with a ruthless streak and Machiavellian planning. His face a myriad of conflicting emotions, whether he is in bed with his mistress, running a meeting of criminals or speaking to the public, Buscemi delivers. The other main characters include: British actress Kelly Macdonald as Margaret Schroeder an young but educated irish widow who eventually becomes his mistress after he rescues her from a abusive relationship. 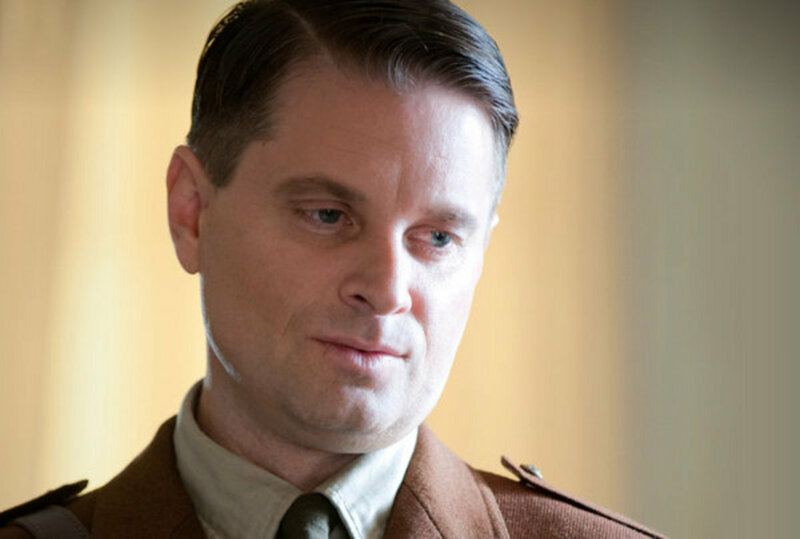 Shea Wigham as Nucky's younger brother Eli Thompson, a corrupt sheriff and his right hand in controlling the local law. 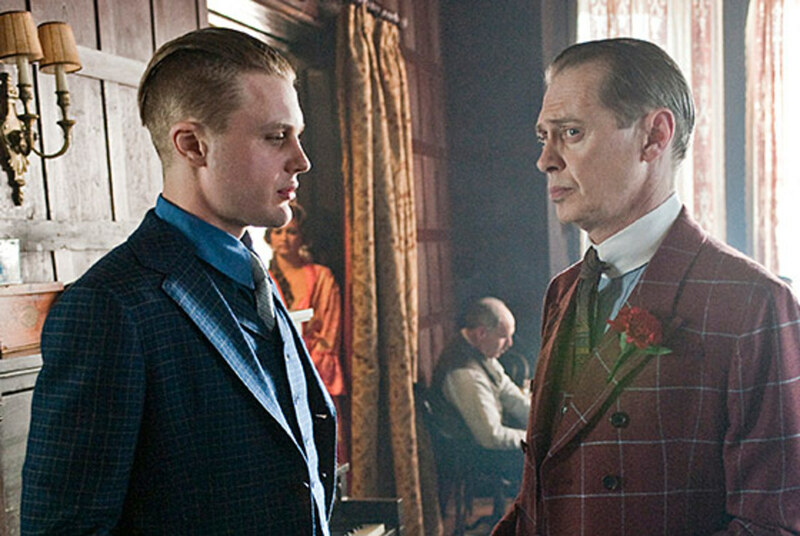 Michael Pitt as Nucky’s nephew and protégé, a world war I vet who supports his uncle and allies himself with Al Capone. 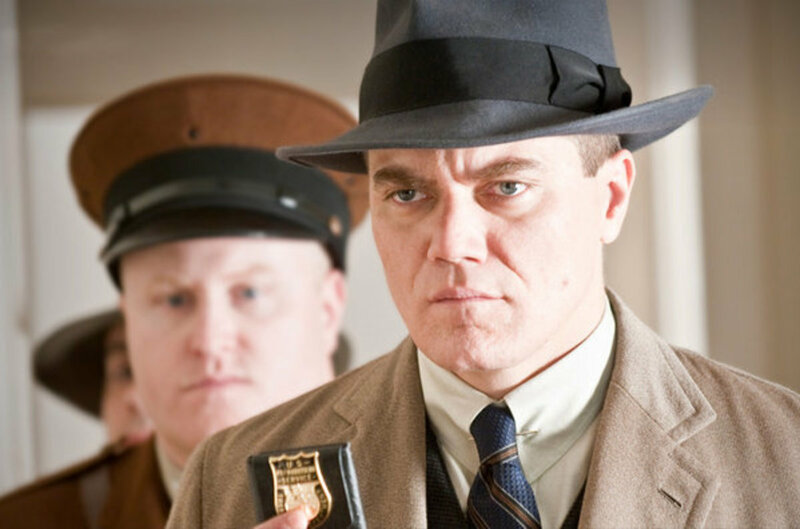 Michael Shannon as Nelson Van Alden an obsessive federal agent hellbent on bringing Nucky to justice. 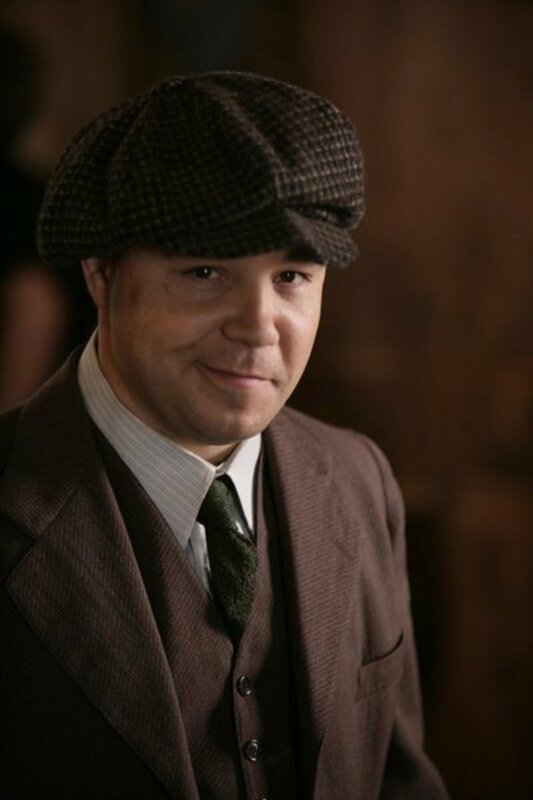 Stephen Graham ( Public enemy) , another British Actor, portrays Al Capone in his formative years, a low level, violent chicago mobster and underling looking to rise through the ranks. Graham is a great actor and is mesmerising to watch. 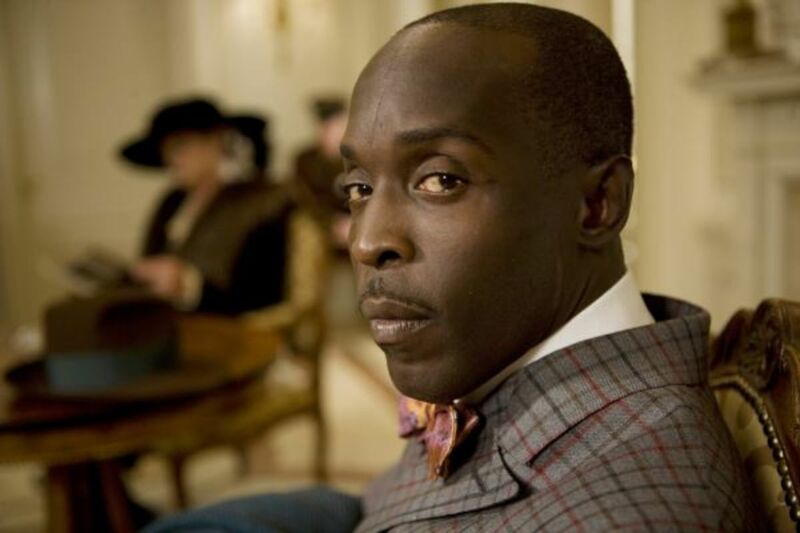 Michael Kenneth Williams ( The Wire) as Chalky White – Nucky's counterpart in Atlantic City's black community. Nucky's counterpart in Atlantic City's black community. Jimmy's mother and also Luciano's lover. 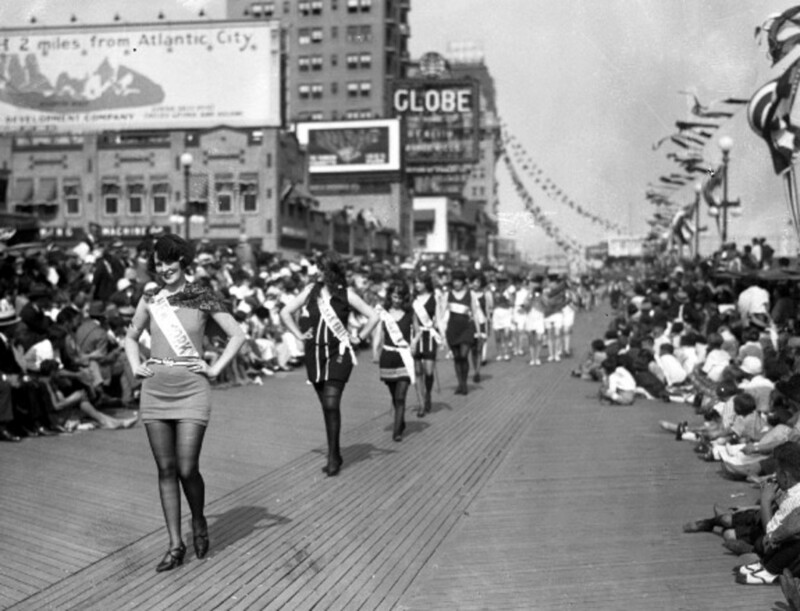 At the eve of the Prohibiton act the pwoers of Atlantic city have a roaring party celebrating plans to leave the city wide open for alcohol, gambling and other vices, thus raking in as much money as they can. 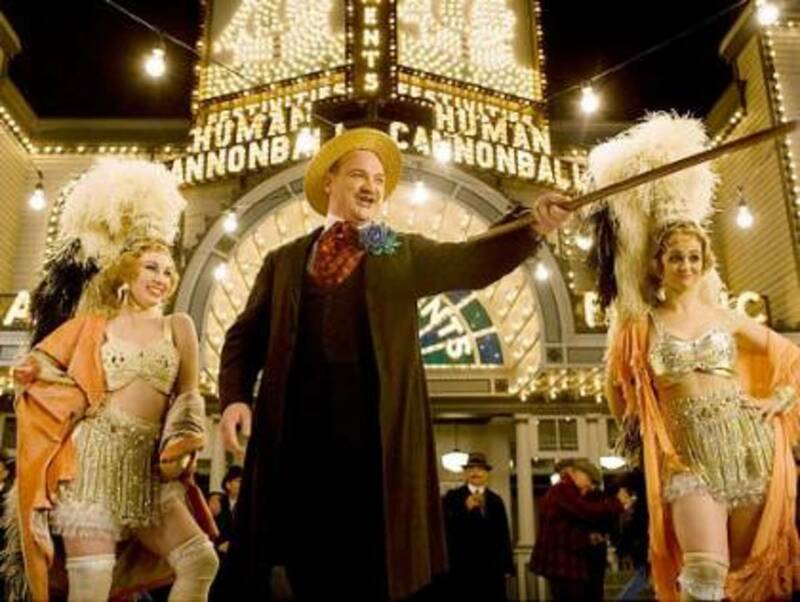 Headed by the Treasurer to the city, Nucky Thompson, the corrupt connections go far and beyond the boardwalk. 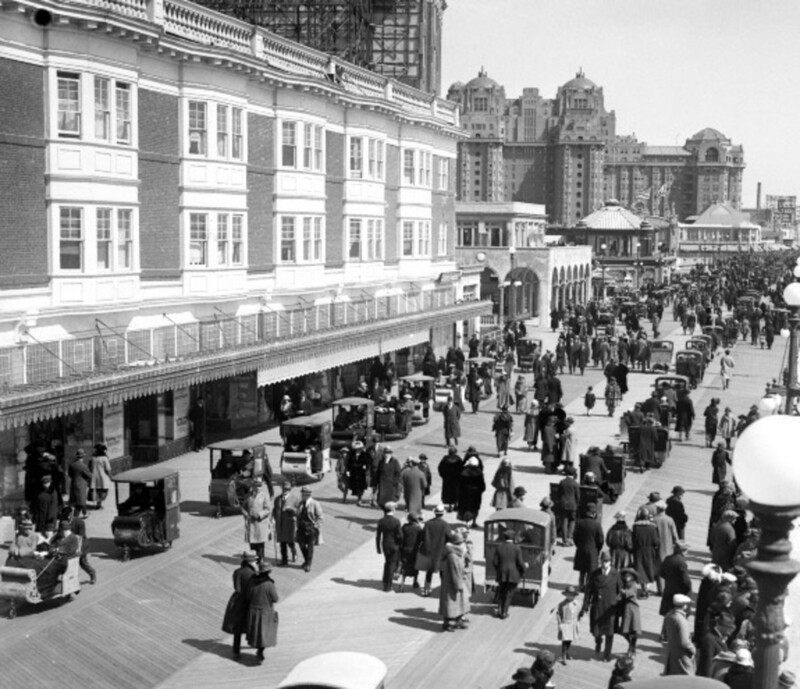 Scenting money and power, gangsters from Chicago and New York are drawn to the potential of Atlantic city, wanting a slice of the action. Nucky meanwhile has a popular public persona, always 'helping' the needy, supporting the black community and encouraging entrepreneurial growth. 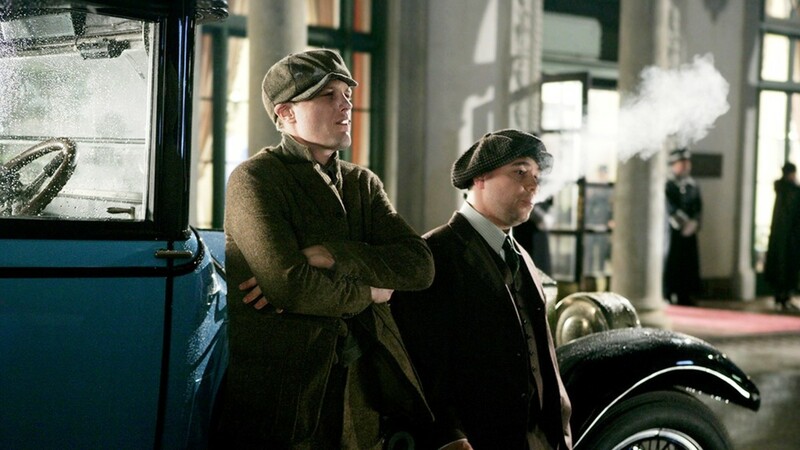 The side story sees the rise of Nucky's tormented protege Jimmy Darmody and his alliance with low level gangster Al Capone and their friendship.The Federal agents hellbent on uncovering the bootlegging operation are a permanent fixture. Awards and accolades have been showered on the series, deservedly. There has been an overwhelmingly positive critics response across the board. The meta critic rating based on over 30 reviews is above 88% a solid rating for a new series debut. 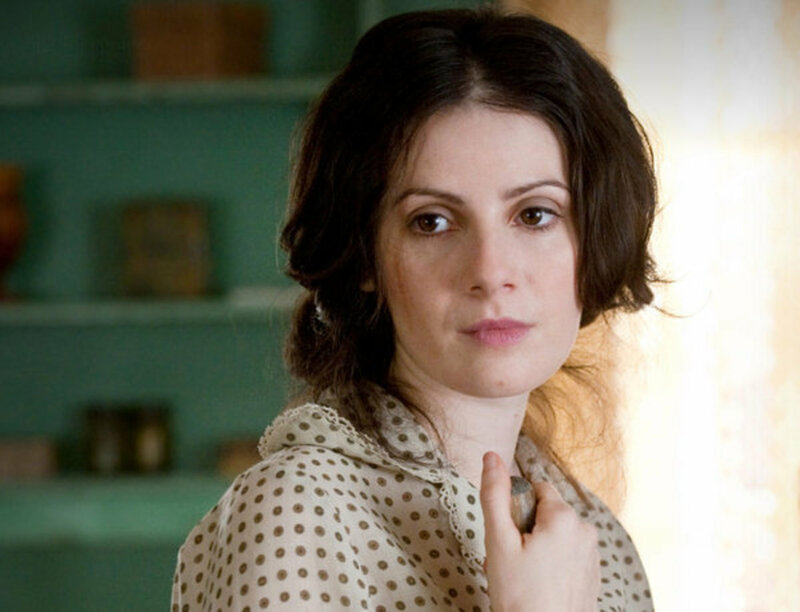 Boardwalk Empire is in The American Film Institute's Top Ten List for TV in 2010. 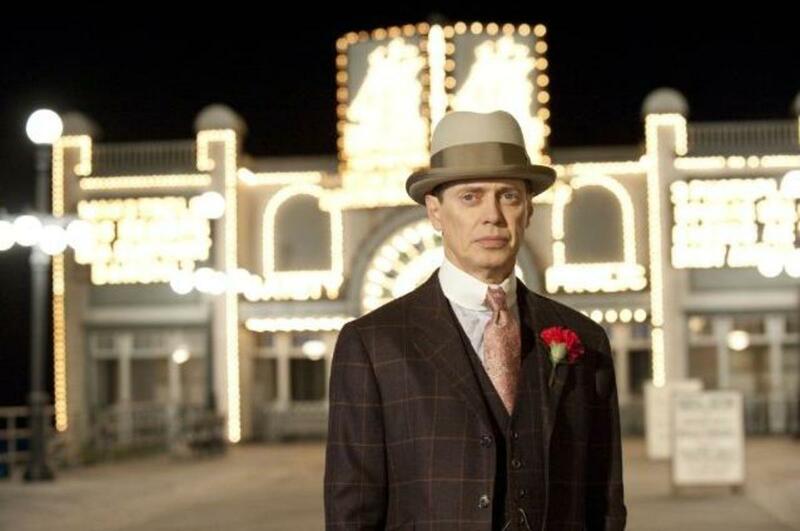 Boardwalk Empire won a Writers Guild of America Award for Best Writing in a New Series and was nominated for Best Writing in a Drama Series.The show won a Golden Globe for Best Dramatic Series, and gave Steve Buscemi the Best Actor in Dramatic Series gong. 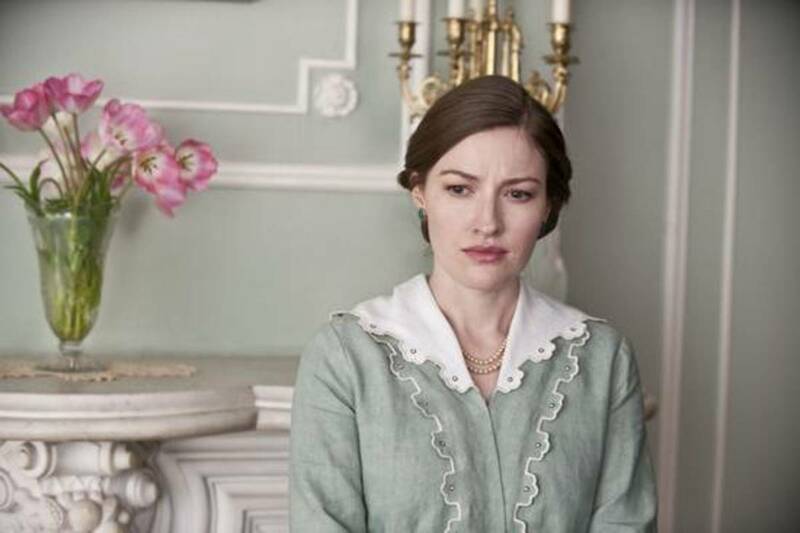 Kelly MacDonald was nominated for Best Supporting Actress in a Series, Miniseries or Motion Picture Made for Television. The Cast also won the Screen Actor's Guild (SAG) Award for Best Ensemble in a Drama Series, while Steve Buscemi again was awarded Screen Actor's Guild Award for Oustanding Performance by a Male Actor in a Drama Series. Martin Scorsese was awarded the Directors Guild Award for Outstanding Directorial Achievement in Dramatic Series. 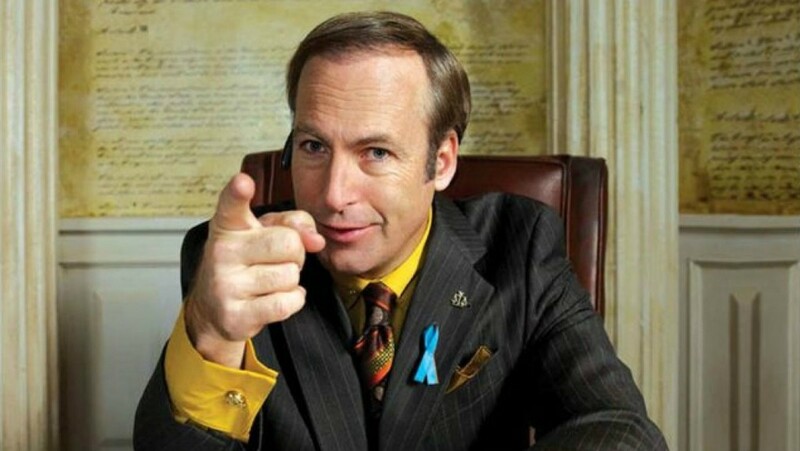 The First series has finished on HBO in the US and will no doubt enjoy a re-run. It is available on HBO on demand. 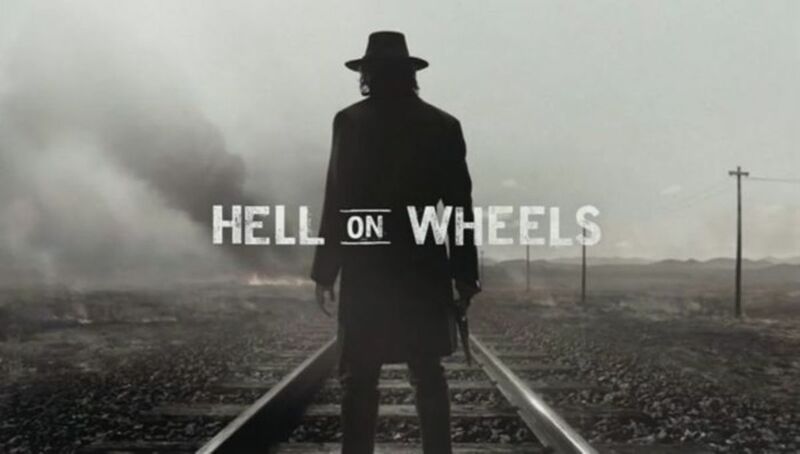 Sky Atlantic and Sky Atlantic HD started broadcasting the first series, on February 1, 2011. The show has already been commissioned for a second series and will start filming soon. 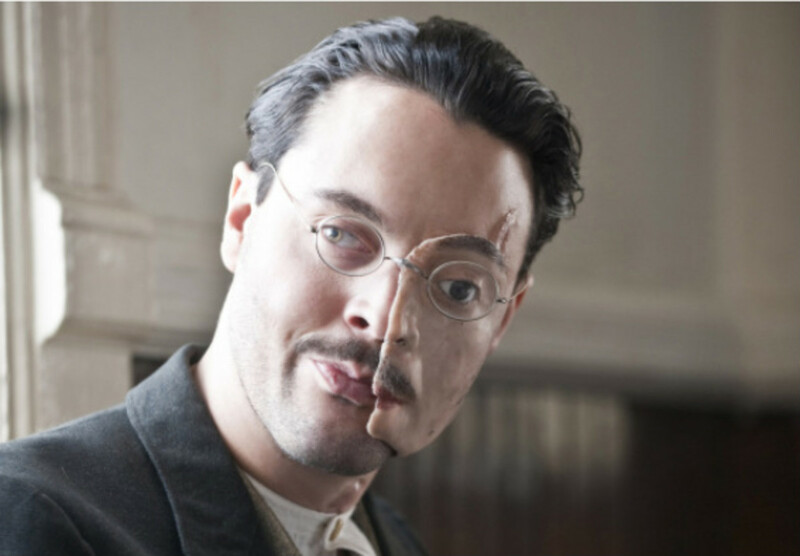 If you love Good Drama, recreated in lavish period detail, gripping storyline, great ensemble acting and beautiful to look at, then don't miss Boardwalk Empire. Please leave some comments below as it is nice to what you think. If you like this and think others will too, do share on Facebook and Twitter or other sites using the buttons below and don't forget to vote your opinion. Do visit often and read the other hubs if you like the writing. There's plenty to entertain you! Will the roaring twenties repeat itself 100 years later in history? My Favorite Television Characters Since 2000. @gmwillams-I agree. Scorsese has an astonishing range of masterpieces in his canon. Truly visionary ! @ James A Watkins- thank you very much- I must have missed your comment first time around and just read it. Appreciate your feedback. I have series 1 on DVD. This is the BEST show by far. I could not expect less with Martin Scorcese being one of the directors on the show. Mr. Scorcese is a cinematic genius. No, let me put it more succinctly- Mr. Scorcese is beyond genius- he is simply indescribable as a director. You are a terrific reviewer. This review is fabulously written and I enjoyed it thoroughly. I have not seen the show, but I will seek it out after reading this article. Bravo to you! This Hub is a masterpiece. Thanks Chris Crow- glad you enjoyed the show and this hub. I also enjoyed the story and the ensemble characters .. they are woven very well. I love this show. Great hub. I like the slow pace of the show and how it builds up to a crescendo that you know is going to happen. I enjoy the anticipation and the detail. Thanks RichERich, Its a good series- I have the same dilemma when I choose to commit hours of my busy life to watching pre-formed media.. but I considered Boardwalk worth the effort.. I was debating whether I wanted to commit myself to another miniseries, and with your wealth of knowledge, I can make a more informed. You do your research and I can totally appreciate that. That you so much for the info!! 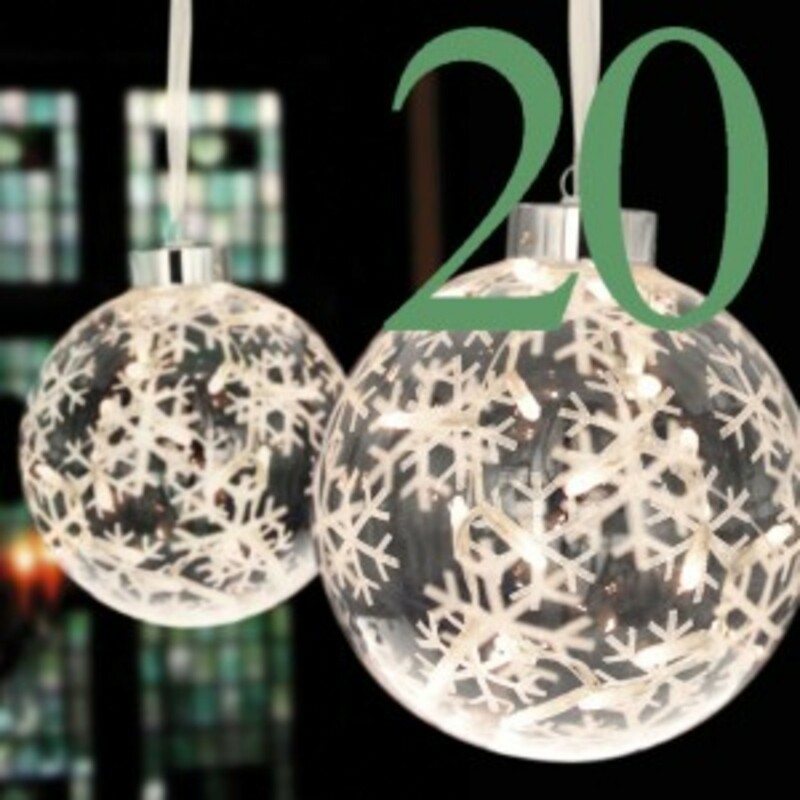 @marshacanada, thank you - I had a lot more vintage stuff but didn't want to overwhelm with the pictures. I am fascinated by this era and if I ever travel back in time, I'll wear my shiniest suit, stick my hat on and brylcreem my hair to joint the party. Maybe I'll take a bottle, just in case! You've convinced me, Docmo, that this is a "must see". 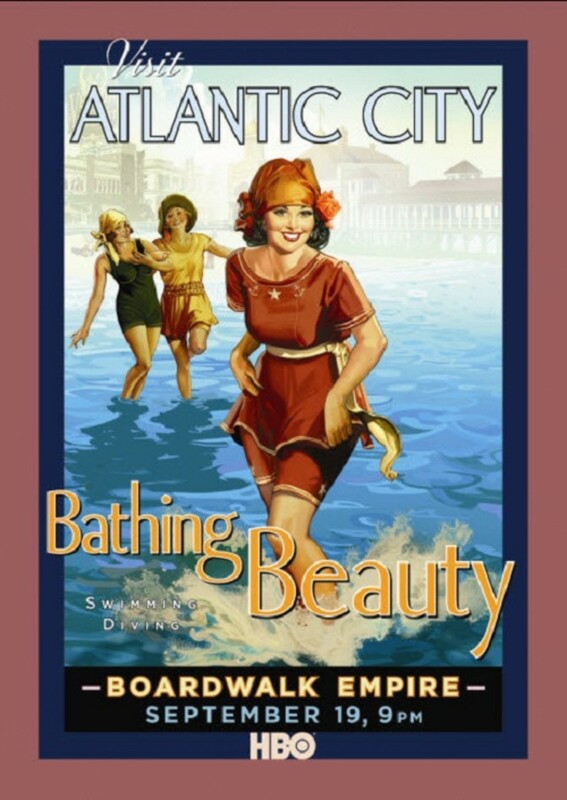 You have compiled a cornucopia of interesting, enticing facts that lead the reader to want to see this masterpiece on the life and times in Atlantic City during the Boardwalk Empire. The producers should be paying you for this excellent read! Great colorful review of this program. I love the photos and especially the vintage posters.In this depiction of the 1920's the booze flows from Canada to Atlanta just as the pot flows down to the USA from Canada to-day. And the drug gangs and crooked police and politicians make big bucks from booze in the 1920's Atlanta just like the drug lords and the crooked police and politicians make big buck from the crazy war on drugs to-day. @drbj, you are fellow connoisseur of all things good. Welcome and thanks for your comments. 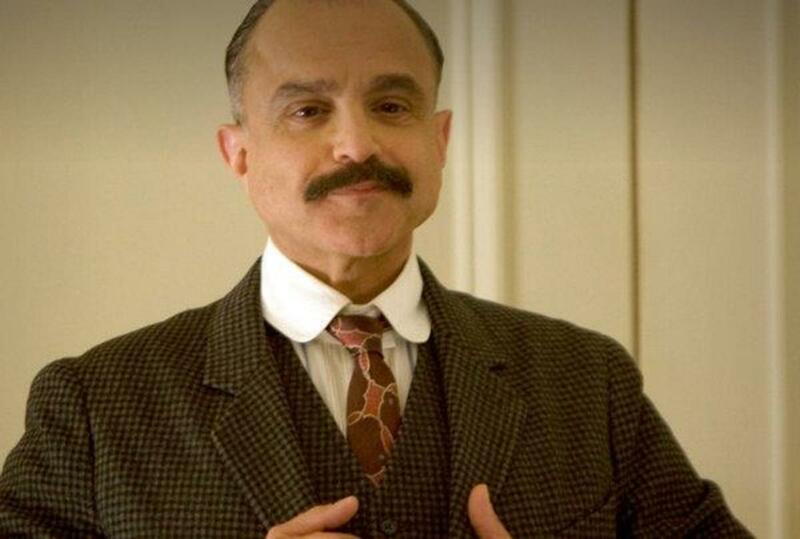 Mohan, this is an extraordinary tribute to Boardwalk Empire and all the people that have made that show a success. I viewed some of the episodes but now I am motivated to watch the entire series of programs, thanks to you and your compelling review. Thank you.